Saturday August 25, 2018 - There was drama to Anniversary Towers when Connie Maina and Margaret Mwachanya, who announced their resignation from the electoral commission earlier this year, returned to their offices on Friday to the utter shock of IEBC Chairman Wafula Chebukati. Details about the return of the two were not immediately made clear as they remained holed up in their offices throughout. “They’ve been holed up in their respective offices since they arrived,” said the source. 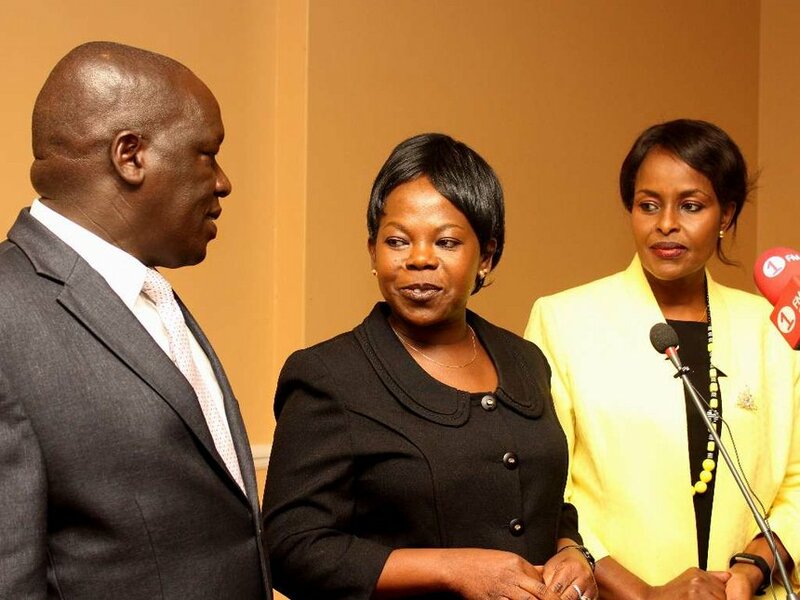 In April, IEBC Vice Chairperson Connie Maina and Commissioners Margaret Mwachanya and Paul Kurgat said they had left the commission because they had no faith in the chairman’s leadership. It is believed Connie and Mwachanya returned to IEBC using the window created by the High Court which noted as obiter dictum that they did not follow proper channels to resign.